26,5x22 cm – 136 pages. 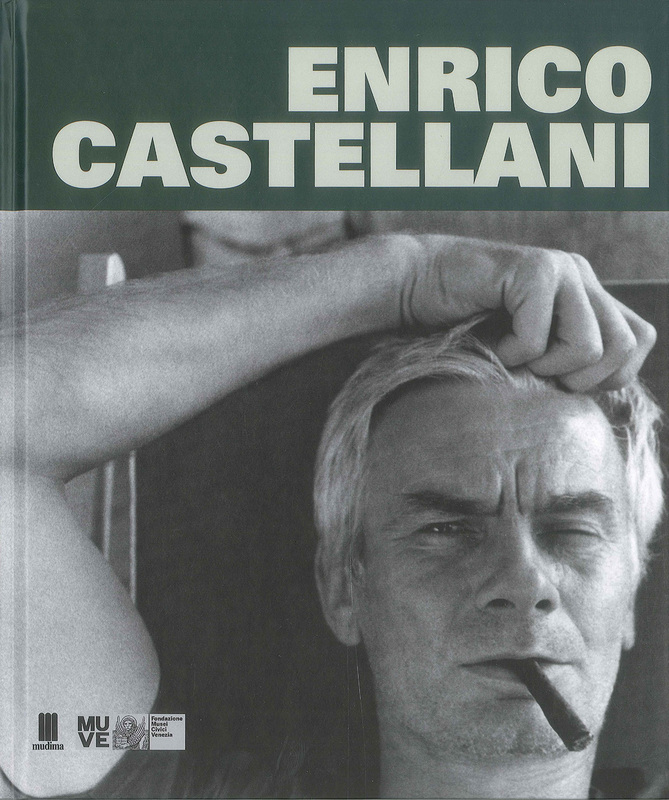 A catalogue dedicated to Enrico Castellani and published on the occasion of the double solo exhibition with Günter Uecker housed in the rooms of the Ca’ Pesaro. Galleria Internazionale d’Arte Moderna in Venice from 1 September 2012 to 13 January 2013. The volume, whose cover photograph is by Plinio De Martiis, contains an introduction by Davide Di Maggio and texts by Bruno Corà, Lóránd Hegyi and Nanni Balestrini. The publication includes numerous archive photographs together with those of the artist, the works on exhibit or else set in important international exhibitions. The volume also includes an extensive anthology of the artist’s principal writings followed by a list of his one-man and group exhibitions.